Q. How do I cite an appendix in text using Harvard WesternSydU? An appendix will go at the end of your essay or report and before the reference list. All items that are placed in an appendix must be cited in the body of your essay/report as Appendix. If there is more than one appendix, distinguish them using letters or numbers e.g. Appendix A, Appendix B or Appendix 1, Appendix 2 etc. 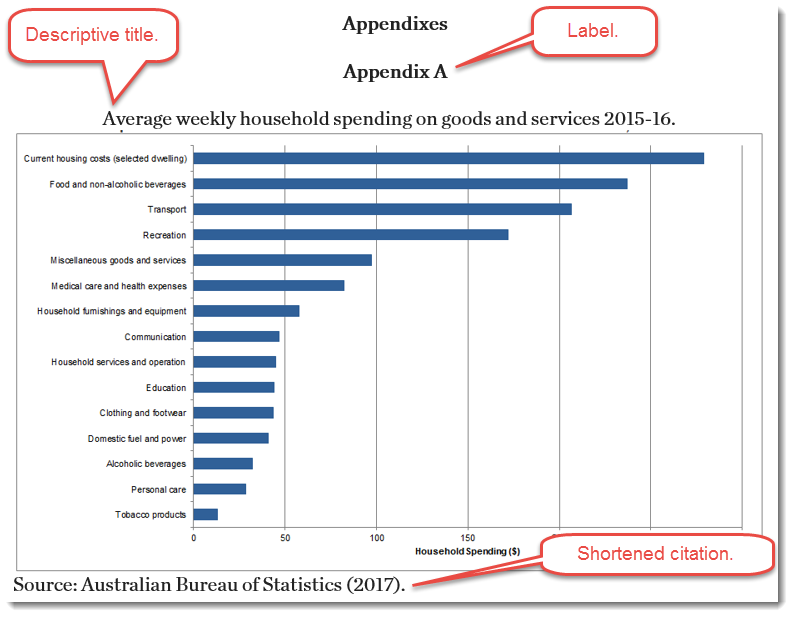 … Appendix A contains a breakdown of average weekly spending which reflects… …There is an emphasis on the current rate of government spending in interviews… (see Appendix B). If the item in the appendix is from a published source place a short citation in the appendix (not in the body of your essay/report) and add the full citation in the reference list. Start the appendix on a new page with the title Appendix or Appendixes (if there is more than one item). Order the appendix items in the same order they are referred to in text. 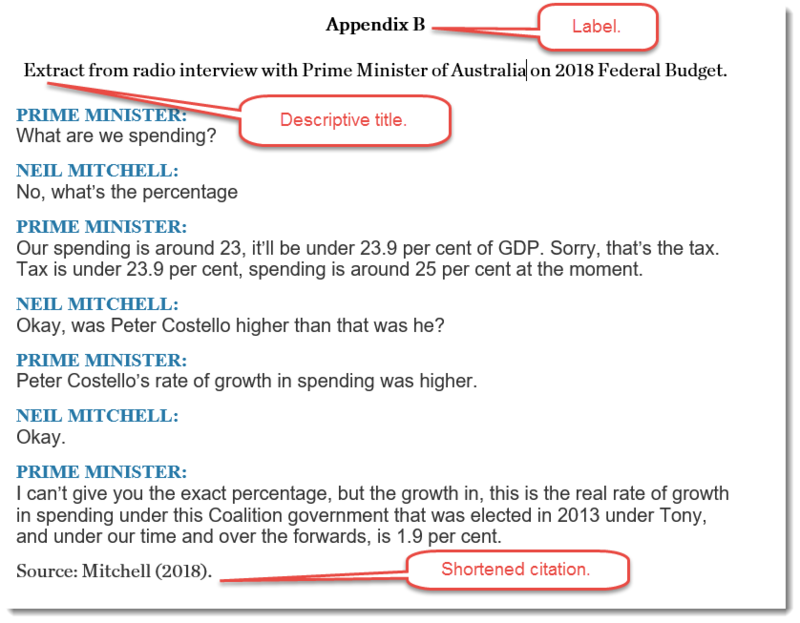 Create a label and descriptive title for each appendix item. Centre the label and title. Change the label to bold type e.g. Appendix A. 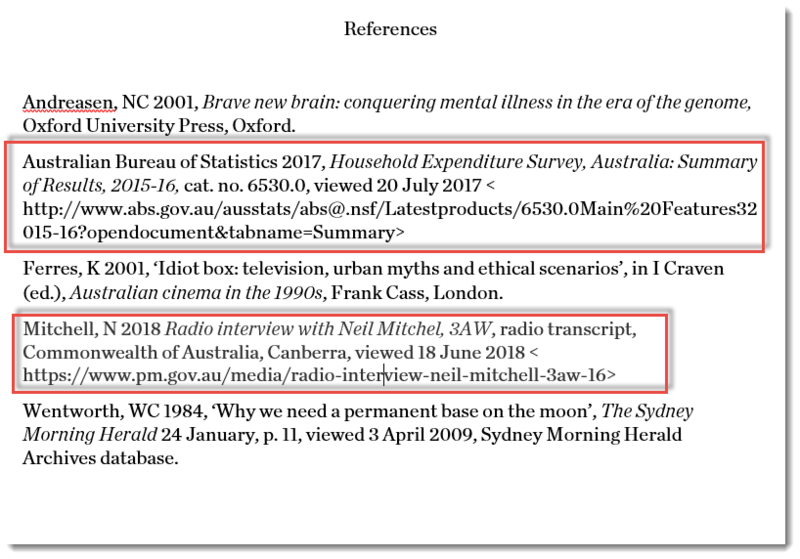 If the material is from a published source,use the word 'Source:' followed by a short citation (author and year of publication) and place it at the bottom left of the appendix item. Enter the full reference in your reference list. The full citation is placed in the reference list in alphabetical order by author with all other references from your essay or report.